Charles Stuart, also known as 'Bonnie Prince Charlie' or 'The Young Pretender' is a near mythic figure, and a Scottish national hero. His 1745 uprising against the House of Hanover, culminating in the disastrous battle of Culloden is romanticized as a brave, but tragic attempt at freedom against an unwanted government. To this day, Charles Stuart is the face of the Jacobites, and he's idolized by modern Scots and people of Scottish descent. However, the facts are that Charlie and his '45 Rebellion was the end of the militant Jacobite movement. Charlie's defeat at Culloden, and the subsequent Hanoverian crackdown on the Scottish people saw that the Jacobites would never rise again, and essentially put paid to any hopes of renewing the Stuart dynasty. Charles Edward Louis Philip Casimir Stuart was born not in Scotland, but in Rome. Related to both the Pope and the King of France, Charlie had a privileged upbringing, despite living in exile from his ancestral home. He was a keen hunter, and was well educated in both books and courtly manners. His father, James III and VIII, also known as 'The Old Pretender' raised him as the Prince of Wales, and awarded him several honors and orders of the British kingdom. Between this and his father's obsession with regaining his throne, it is no surprise that in his early 20s Charles devoted himself to reclaiming the English throne. In 1745 Charlie invaded Scotland with the intent of ousting George I. Accompanied by an army of French and Scottish Highland supporters, Charlie managed to retake Scotland, and parts of England. However, due to infighting, desertion, lack of funds, and poor military choices on Charles' part, the Jacobites were defeated at the disastrous Battle of Culloden in 1746, and Charles Stuart fled back to France. Though he's hailed as a hero, the truth is that Charles Edward Louis Philip Casimir Stuart peaked at 25. After returning to France Charles tried to rally support for another invasion of the British Isles, but was unsuccessful. He had an illegitimate daughter, and at age 52 he married a 19 year old, whom he forced into a convent soon after. He died at age 63, sick, embittered, estranged from both his father (who had converted to Anglicism) and his brother. James II was deposed by his Protestant daughter. Though, as mentioned above, Charlie is the face of militant Jacobiteism, he was, by no means, the entirety of the movement. Jacobiteism started in 1688 when James II, the last catholic King of England, was forced into exile by his protestant daughter Mary II, and her husband, William of Orange. The movement really got going though in 1714 when Queen Anne, the last of the Stuart Monarchs, was succeeded by German George I, the first monarch of the House of Hanover. There were two uprisings prior to the Hanoverian take over, one in 1689, and one in 1708. The 1689 rebellion was lead by James II, the ousted Catholic King. James II's uprising was almost immediately after the 'Glorious Revolution', and was moderately successful. James II was proclaimed King of England, Scotland, and Ireland by a parliament held in Dublin, but his French-Scottish forces were ultimately defeated by William of Orange at the Battle of the Boyne. The 1708 uprising, largely French, was short lived and unsuccessful. The next Jacobite uprising of note, 'The Fifteen', took place in 1715, directly after George I's succession to the throne. George I was vastly unpopular with a large percentage of the people. He was a foreigner, didn't speak English, and had an open disdain for England and its people. This, combined with a divided government made the Hanovers an easy target for John Erskine, 6th Duke of Mar. Erskine managed to raise a large part of the Northeast, and the Jacobite clans to the cause of James the III and VIII, and James set out for Scotland. While Erskine did progress as far as Perth, he was ultimately defeated by the Duke of Argyll, and James arrived too late to participate in any actual battling. However, though 'The Fifteen' was a failure, it was vital proof that a large scale uprising against the house of Hanover could be made. The proof remained strong in the minds of the exiled Stuarts and Jacobites even after the failure of the Highland Uprising of 1719. It was with the memories of 'The Fifteen' in mind that Bonnie Prince Charlie and his forces set out for what would become known as 'The Forty-Five'. Charles was only 25 when he launched his invasion of Scotland. Backed by a modest French force, with promises of more reinforcements from France and Sweden, Charlie landed on the west coast of Scotland in July of 1745, convinced that the Scottish people would soon join him. Charlie had been raised to believe that Britain, especially Scotland, was a hotbed of Jacobite sympathy, and that all he had to do was raise his banner, and the people would rally to his cause. In reality, while many Scots and Englishmen had Jacobite sympathies, most of them were unwilling to fight for a ill equipped king. In reality, it was largely the Highland Scots who came to Charlie's aid. At the time, England was engaged in the Austrian War of Succession, and large parts of the English forces were fighting abroad in France and the North American Colonies. England was largely undefended, and due to a majority Whig government, many members of the Tory party were glad to support the Stuarts. Due to this support, and lack of opposition, Charles and his army were able to progress quickly through Scotland. He marched triumphantly into Edinburgh just two months after landing in Scotland, and with every victory more and more soldiers flocked to his cause. Charlie quickly took Perth, Prestonpans, and Derby before his supporters started to have doubts. Though Charles wanted to march on London from Derby, he and his army turned back to lay siege to Stirling Castle. As a military leader, Charlie was brash and reckless. He had a habit of ignoring his advisers, and relied heavily on the Highland Scot's favored tactic of a head-on charge. Historians speculate that had he continued his habit of ignoring his generals he may have successfully taken London and the throne, but at the worst possible moment Charlie decided to heed his adviser's cautioning. Their retreat back into Scotland allowed William, Duke of Cumberland, to catch up with the Jacobites. 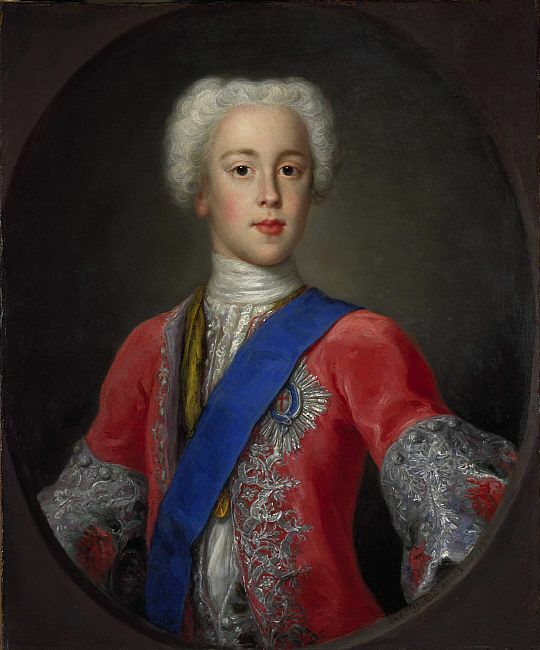 George I, nervous about the Young Pretender's success had summoned his brother back to England, and the Duke of Cumberland was challenged the Jacobites relentlessly. Though the Jacobites enjoyed several early victories against the Duke, the battles began to become more difficult, and Charlie lost soldiers to desertion and death at an alarming rate. 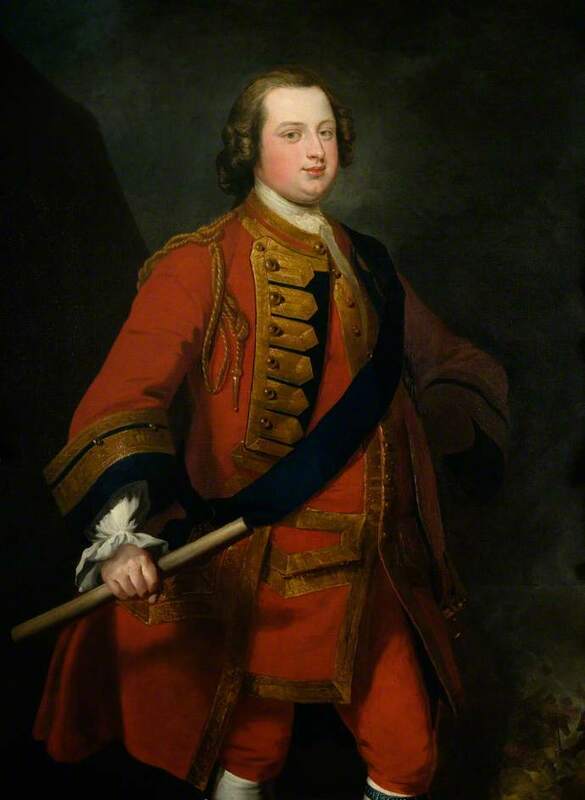 On April 15, 1746, the Duke of Cumberland caught up to the Jacobites at Culloden, near Inverness. Ignoring the warnings of his advisers, Charlie chose Culloden as a battle site, despite the fact that the marshy ground would hinder the highlander's ability to charge, and allowed the English the better position. Charlie sent his men to raid the English camp the night of the 15th, and when the two forces met on the morning of the 16th, the Jacobite forces were tired, divided, and hindered by the mud. Despite their best attempts, the Jacobites were defeated after only 40 minutes of fighting, and those who weren't killed fled into the highlands, pursued by the Hanoverian army. The defeat at Culloden was a disaster for the Scots. Determined to quash the Jacobites once and for all, soldiers of the Young Pretenders army were hunted down, and killed without mercy. Those who weren't killed were transported, marking the first mass immigration of Scots to North America. Furthermore, the tartan, kilts, bagpipes, and the Scottish language were all outlawed in an attempt to kill Scottish culture. The ancient Scottish right to bear arms was revoked, and English soldiers combed the highlands, brutally disarming the residents, and commandeering their homes. Though there is still a Stuart Pretender to the Throne, the Jacobite movement is all but extinct today. The Hanover dynasty ended with the death of Queen Victoria in 1901, and, given the fact that Elizabeth II is widely rumored to be immortal, it seems unlikely that the House of Windsor is going anywhere soon. However, Bonnie Prince Charlie and the Jacobite cause remain firm as a symbol of Scottish nationalism, and hope for independence.